Nissin Bowl Noodles Rich & Savory - Beef. Nissin founder, Momofuku Andō, is the inventor of instant noodles and cup noodles. He died in 2007, but he got to see his invention reach a worldwide demand of 98 billion servings. I'm sure he was satisfied by where his product turned into and the new forms of instant noodles his company created. One of the more recent products is Nissin's Bowl Noodles Rich & Savory. It's made by Nissin Foods USA, so you're likely not to find it in Japan. Have they Americanized the brand too much? Read my thoughts and the full review after the jump. The bowl and all of its packets. Nissin Bowl Noodles is new to me, but Cup Noodles is not. I can't even begin to imagine how many Cup Noodles I've had in my life. Back when I was a tyke, there were only three flavors: chicken, beef, and shrimp. Currently, there are ten and I've probably only had four of them. Anyway, Nissin makes a ton of other noodle products now, too. There's also Top Ramen, Chow Mein, Chow Noodles, and Souper Meal. There are even two different versions of Bowl Noodles! They have Hot & Spicy and Rich & Savory. In my opinion, Nissin Foods USA has made too many options that adheres to American tastes. I mean, they make Cheddar Cheese Chow Noodles. How disgusting must that be? 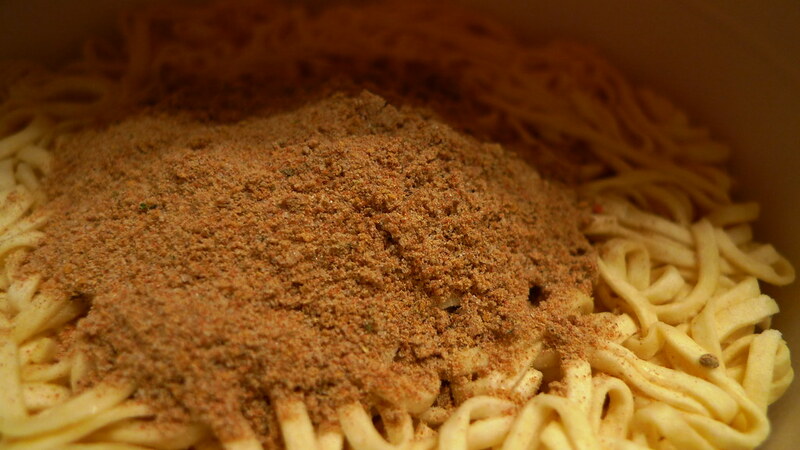 The beef seasoning added to the noodles in the bowl. 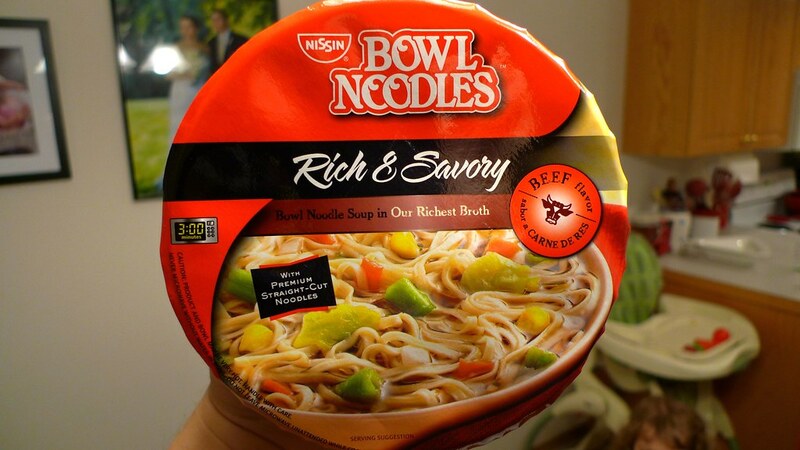 Today I am reviewing Nissin Bowl Noodles Rich & Savory beef flavor. A large cardboard bowl comes wrapped in plastic with a packet on the top. 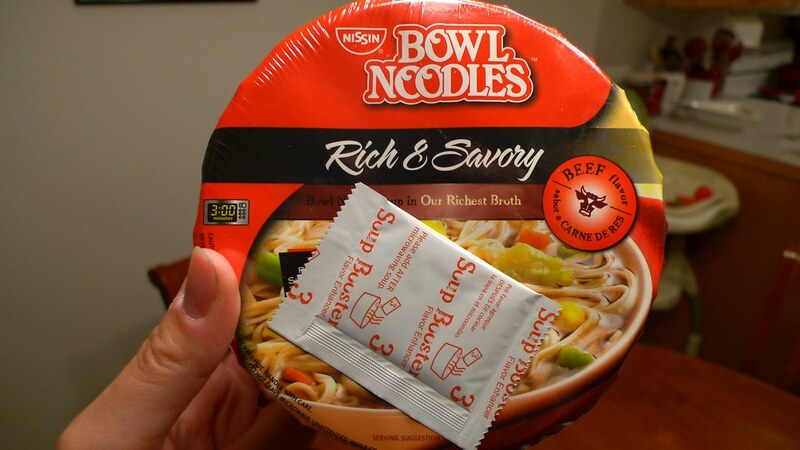 The packet is the "Soup Booster". It's separated from the contents inside the bowl because it's something that you don't add until after the noodles have been cooked. The packaging is very colorful and, dare I say it, slightly fancy. The directions could not be any clearer as even the packets are numbered off in order of when they should be added. 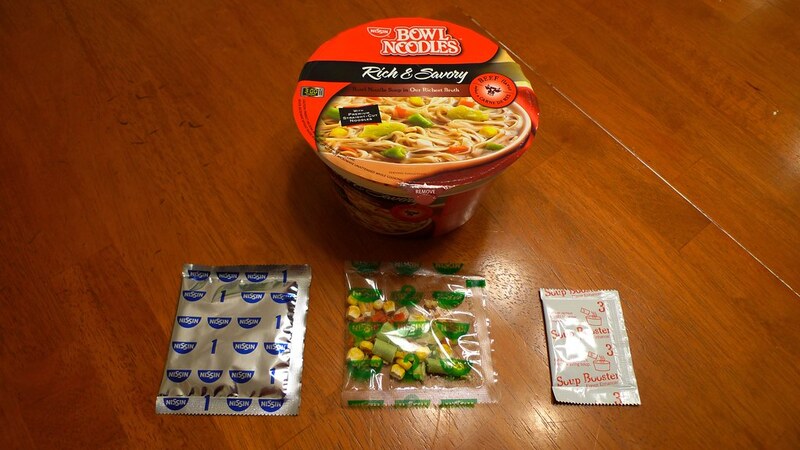 The two packets you get inside the bowl is the seasoning packet and the dried vegetables packet. Both are added with room temperature water and heated up for three minutes in a microwave. Bowl Noodles is made by microwave only which is kind of a downer because I like to use boiling/hot water for my cup and bowl noodles. 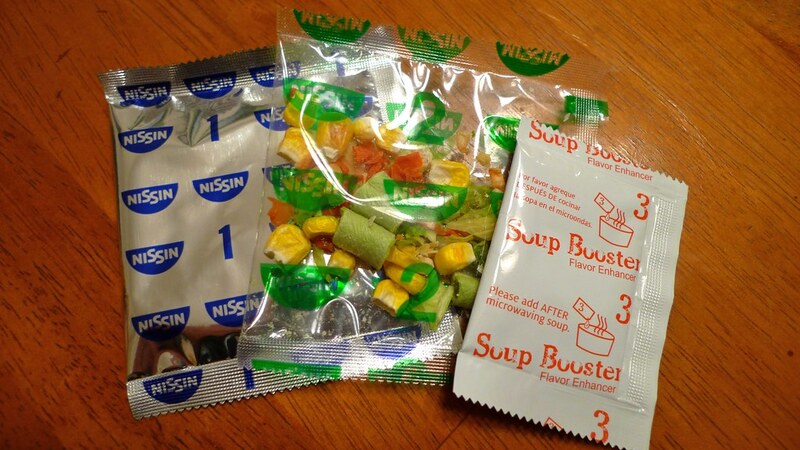 The reason Nissin only provides microwaving instructions is because of the Soup Booster. 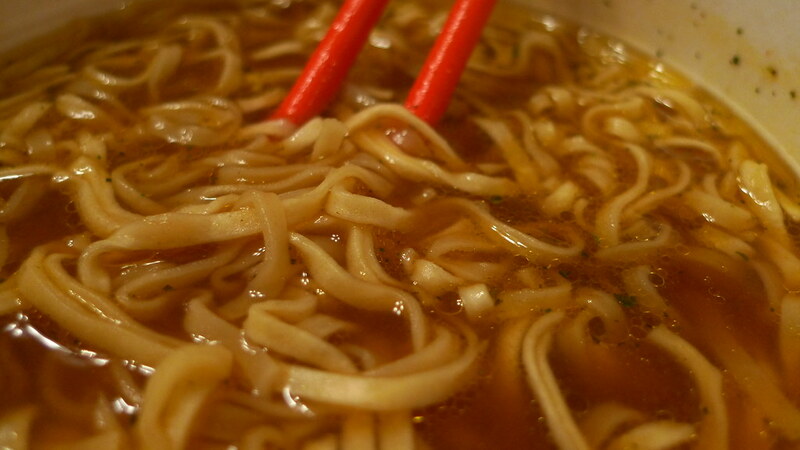 How the noodles and broth look after adding the Soup Booster. After microwaving, that's when you stir in the Soup Booster. 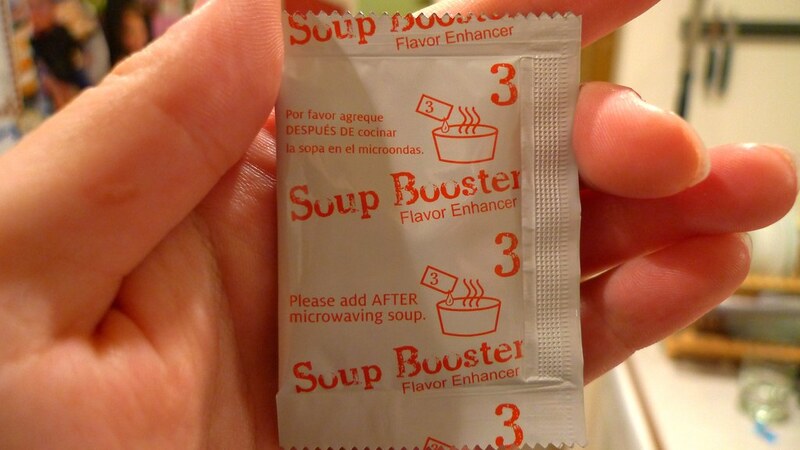 The ingredients are unclear as to what is in the Soup Booster. According to Nissin, it adds richer flavor that gives you a citrus twist. Apparently microwaving your noodles evaporates some the flavors out. This packet restores the flavor, and then some. Um... so why not just have boiling water instructions? Anyway, my guess is that there's beef flavor, oil, MSG, and maybe citric acid in the Soup Booster. 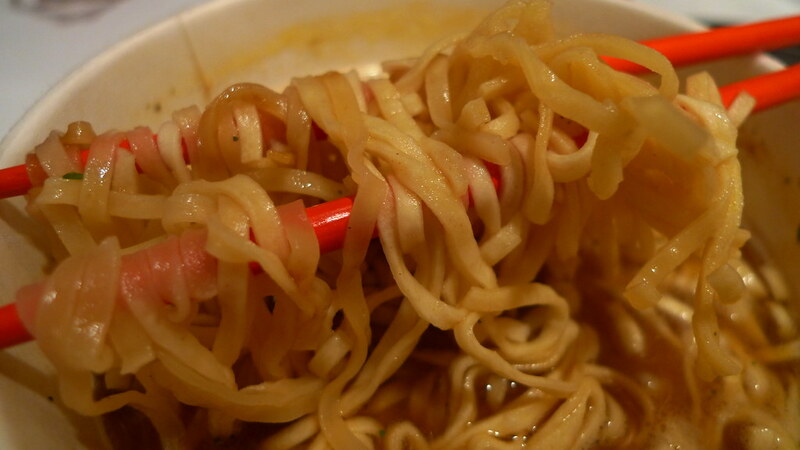 The noodles are about the same shape of Nissin's Cup Noodles, but bigger. Maybe even twice the size. 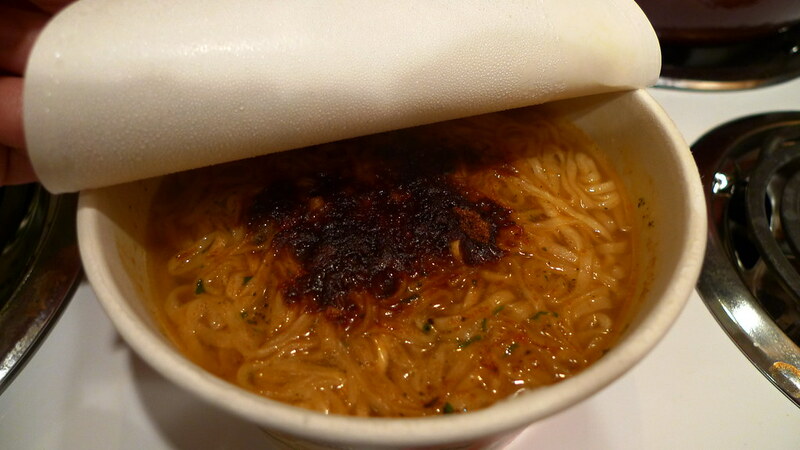 As with all microwaveable instant noodles, some of the noodles at the top of the brick inside were undercooked after microwaving. This was rather unfortunate. The broth is pretty good. I can definitely see where the "Rich" and "Savory" comes into play, but it's still not perfect. The soup did have a bit of a sour or bitter taste to it which I assume was the "citrus twist". I can't say that I enjoy citrus flavors in my soup. Juliana actually really liked this. 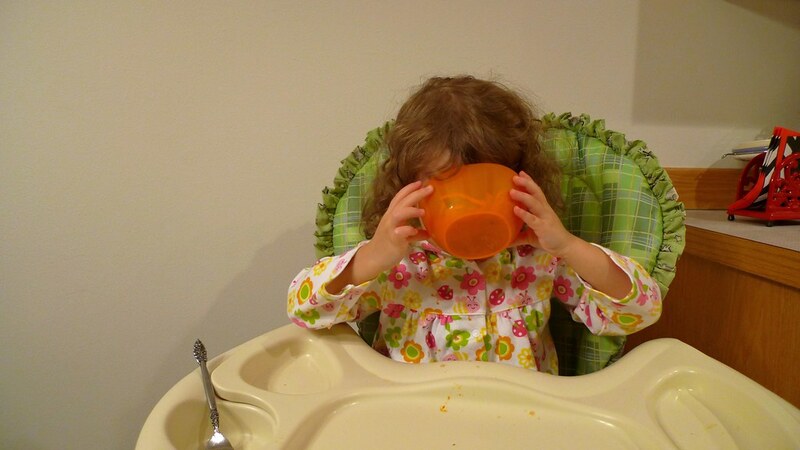 She doesn't drink the broth straight out of the bowl very often, but she totally did for this. (See the video I am providing above.) So, maybe this one just isn't my style. I liked it, but didn't love it. I would rather have Nissin's beef flavored Cup Noodles over this. For the price of the bowl, I really can't complain. I assume that I'm going to encounter a lot of these kinds of noodles, but I think that's fine. I have to admit, I stumbled across this (amazing! :D) blog simply because I wondered what was in the "Soup booster". I made sure to try a few sips before adding it, and was really pleasantly surprised by how good it was. I was very hesitant to add the "booster", and can confidently say that I will not be doing so in the future -- you're exactly right, citrus has no place in this otherwise delicious bowl noodle soup. I tried the Rich & Savory chicken flavor. It's good, better than Cup Noodles, but not as good as Nong Shim bowls. The soup is fine, even drinkable. And btw, I microwaved it- not boiling water. The flavor and consistency was better than expected, even for microwaving. 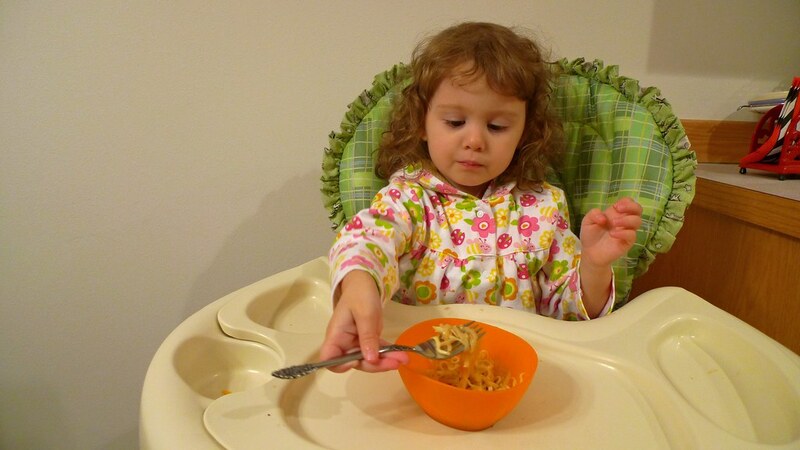 For the record, the cheddar cheese noodles are amazing, if you like cheese. That's all there is to it. I love ramen, and maybe love cheese more. (maybe.) I stir a laughing cow wedge (herb flavor) into the cup while the water's still really hot, and it becomes better than mac'n cheese. (in my book, anyway.